A personal injury accident is devastating physically, mentally, and financially. Having to deal with insurance company representatives is difficult, exhausting, and perplexing. At the McGinn Law Firm, we have the experience and expertise to handle personal injury claims properly so our clients receive the compensation they deserve due to the negligence or irresponsibility of someone else. The McGinn Law Firm has absolutely free initial consultations. Almost all personal injury claims are taken on a contingency basis. Thus, there is no attorney fees owed if you make no recovery. Damages collectable for a personal injury lawsuit can include pain and suffering, medical bills, lost wages, and emotional pain you may have suffered. Our goal is to present all aspects of your claim to its fullest to maximize your compensation. Our seasoned lawyers know how to gather the evidence necessary to present your case, evaluate your case based upon our years of experience, advise you and attempt to resolve your claim. The majority of the personal injury claims we handle are settled through the negotiation process. However, our lawyers are prepared to proceed to trial if we believe that is your best course for a just outcome. Personal injury claims sometimes also involve workers’ compensation claims and/or social security disability claims. The McGinn Law Firm has experienced attorneys in these areas who understand the relationships between these areas of the law and have the expertise to maximize your recovery in these complicated situations. 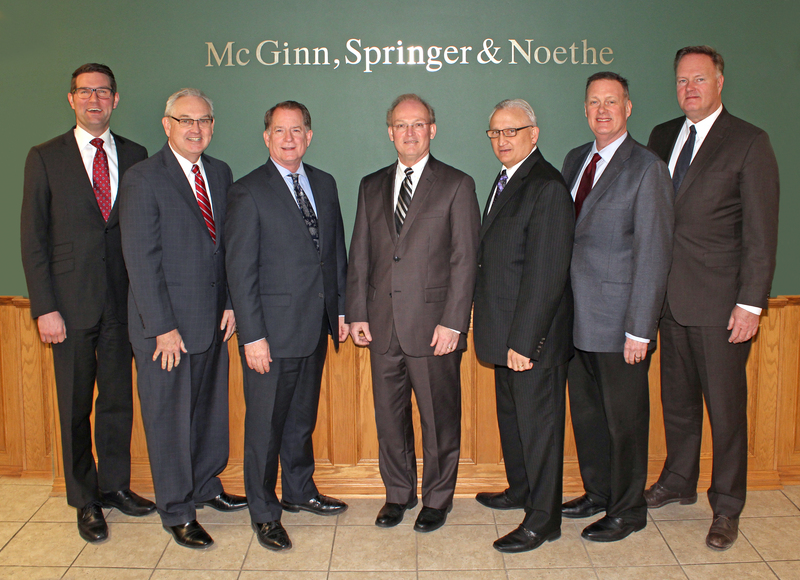 Contact Edward F. Noethe at the McGinn Law Firm for your free initial consultation concerning your personal injury claim at 712-227-5885.